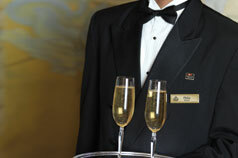 Refined, sophisticated, timeless elegance…this is what the Cunard experience has always been about. Formed in 1840 by Sir Samuel Cunard, the line provided the first regular steamship service between Europe and North America. It was one of the dominant players during the great years of ocean travel, which lasted roughly from 1905 to the mid-1960s. Once it became clear that jet travel had replaced the liners for transatlantic crossings, the cruise line began feeling like a fish out of water and a series of owners tried with little success to revive the company. 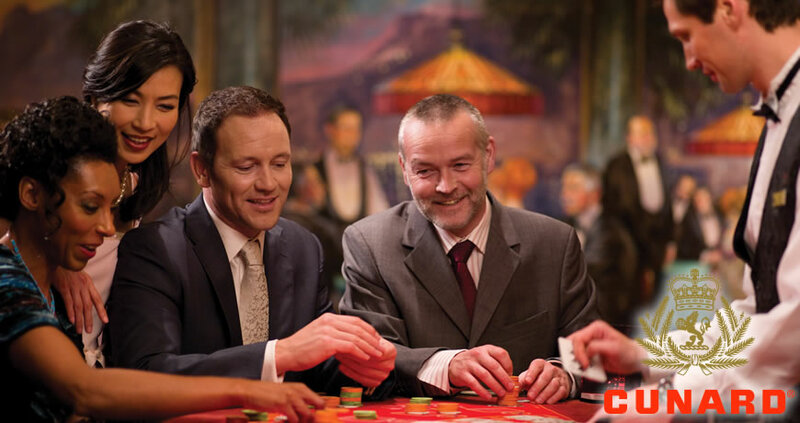 In 1998, Carnival Corporation offered an infusion of cash, along with the know-how to turn the line around, and once again, the Cunard ships proudly continue the tradition of luxury cruising while maintaining the lines legacy and heritage. 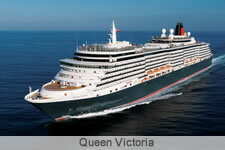 The reigning Queens of Cunard, the Queen Mary 2 (2004), Queen Victoria (2007) and Queen Elizabeth (2010), welcome guests with refined British hospitality paired with legendary, elegant, and memorable service. In general, Cunard attracts a well-traveled crowd of passengers, many of them repeaters who appreciate the lines old-time virtues and are more comfortable with taking 4-oclock-tea than lolling in the hot tub with the drink of the day. 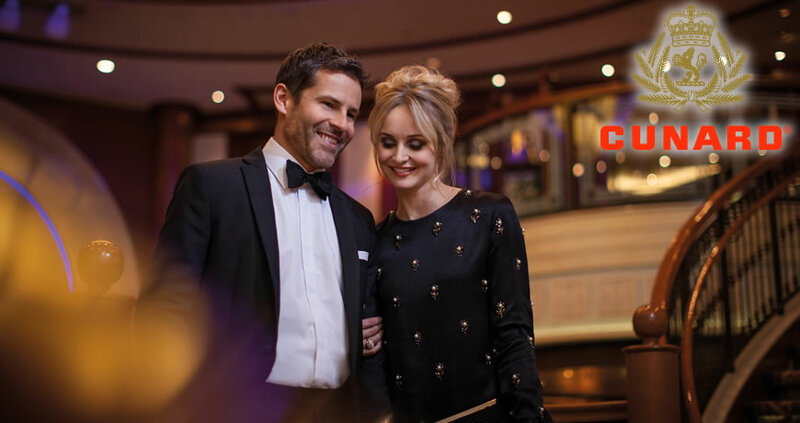 People who enjoy elegant surroundings and style will enjoy Cunard's ships. Those looking for a casual, laid-back atmosphere will not. The ships have both large production and smaller cabaret shows. There are numerous lounges and bars, a casino, and even a disco. Ballroom dancing is a very popular activity, and the ships have gentlemen hosts ready to dance with the single women travelers. 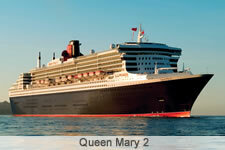 Central to the onboard experience is Cunard Insights, the lines lecture program. Instructors, celebrities, and other learned authors and authorities present talks on literature, political history, marine science, ocean-liner history, music and pop culture, modern art, Shakespeare on film, architectural history, cooking, computer applications, languages, and many other topics. 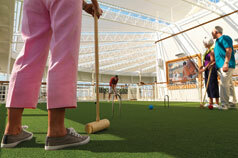 The affiliation of Cunard and Canyon Ranch is all about healthy pleasures. Their unique spa treatments combine ancient, traditional and modern therapies to restore balance and re-energize body and mind. The gifted therapists will help guests determine the appropriate treatment. 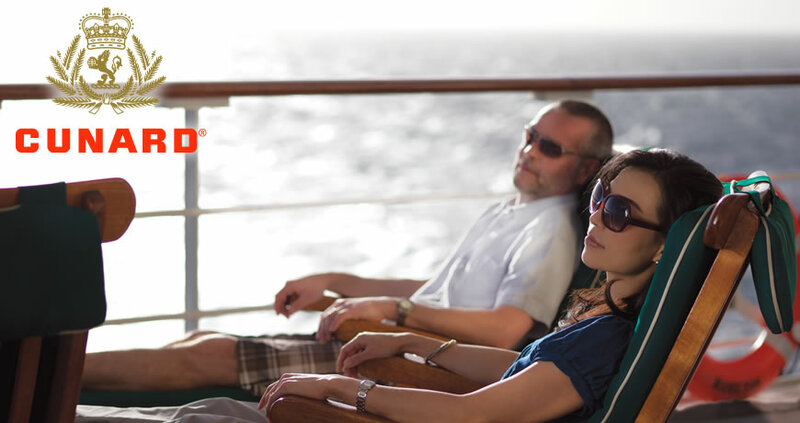 Cunard Cruise Line does not always evoke a family friendly image. 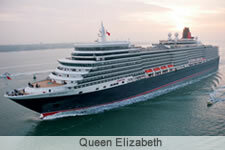 Yet surprisingly, the facilities on board Queen Elizabeth, Queen Mary 2 and Queen Victoria are among the finest afloat. The program is staffed by certified British nannies and welcomes all children above the age of 1 year. Aside from 2 hours at lunchtime and an hour or two in the afternoon, the playrooms provide complimentary supervised activities and care from 9am to midnight, giving parents ample time to enjoy adult company. 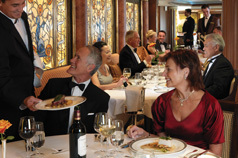 Cunard offers voyages to the Mediterranean, the Baltic Sea, the Norwegian Fjords, North America, the Caribbean, Mexico and Hawaii. However, to experience Cunard and its historical past, there is the legendary voyage that started it all – the Transatlantic Crossings.